New Dimensions Tabernacle - Empowering People to Live Empowered Lives - Rejoice...He Got Up! 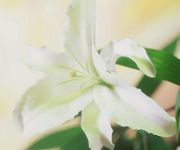 It is not coincidental that we celebrate the resurrection of our Lord and Savior Jesus Christ during the spring.The spring signifies a change in season, new life and new beginnings. Regardless of your situation�or circumstance, you have reason to rejoice, because He Got Up! Join us on Resurrection Sunday,�April 12th, as we�celebrate in total victory�our salvation, redemption, sanctification and justification!